NEW YORK -- Target Corp. is raising its minimum hourly wage for workers to $11 starting next month and then to $15 by the end of 2020, a move it says will help it hire and keep the best employees and make shopping a better experience for customers. The initiative announced Monday is part of the discounter's overall strategy to improve its business, which includes remodeling stores, expanding its online services and opening up smaller urban locations. Target quietly raised entry-level hourly wages to $10 last year from $9 from the previous year, following initiatives by Walmart and others to hike pay in a very competitive marketplace. But Target's increase to $15 per hour far exceeds not only the federal minimum of $7.25 but the hourly base pay at Walmart, the nation's largest private employer, and plenty of its retail peers whose minimum hourly pay hovers around $10. Now Target's raise could force some rivals to match the pay. The changes come as there's more attention on hourly wages. Thousands of workers have protested to call attention to their financial struggles and to fight for $15 an hour. The election of a Republican-controlled Congress dampened hopes of an increase in the federal minimum wage, but advocates have continued to press at the state and local level. At the same time, competition for lower-skilled workers has heated up. As shoppers get more mobile-savvy, retailers want staffers who are more skilled at customer service and in technology such as using iPads to check out inventory. But with the unemployment rate near a 16-year low, the most desirable retail workers feel more confident in hopping from job to job. Some 75 percent of hourly retail workers now change jobs within a year, compared with 50 percent during the Great Recession, according to Korn Ferry Hay Group, a global consultancy group. Thirty-two percent of all first jobs in the U.S. are in retail, according to the trade group the National Retail Federation, and stores overall have more job openings now than they did a few years ago. Hourly pay at restaurants and hotels is up 3.5 percent from a year earlier, a much better raise than the 2.5 percent gain for all employees. For workers at transportation and warehousing companies, where e-commerce growth is fueling hiring, pay is up 2.7 percent in the past year. Retailers, however, have lifted pay just 1.8 percent in the past year. That may be spurring more workers to leave for better opportunities: Separate government data shows the number of retail workers quitting their jobs this year and last is at the highest in a decade. Target says its minimum hourly wage of $11 is higher than the minimum wage in 48 states and matches the minimum wage in Massachusetts and Washington. It says the pay hike will affect thousands of its more than 300,000 workers, but it declined to quantify the percentage of its workforce. It said the increase to $11 per hour will apply to the more than 100,000 hourly workers that Target will be hiring for the holiday season. 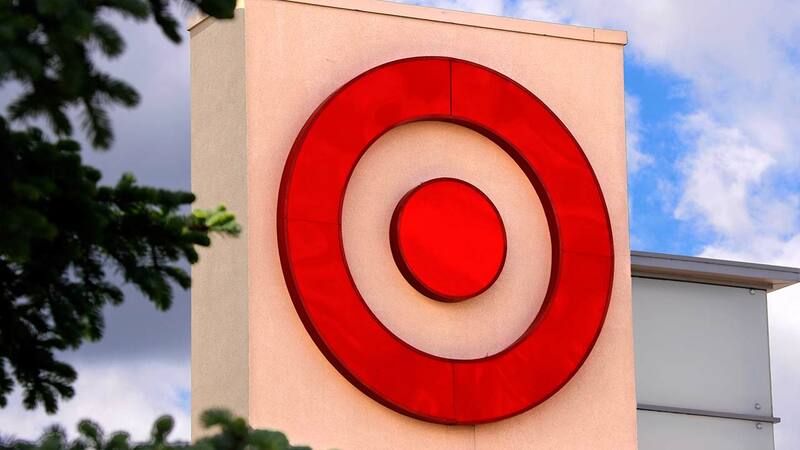 Ken Perkins, president of research firm Retail Metrics LLC, called Target's decision "astute." "Target is really trying to gain market share in an environment where there is tremendous upheaval," Perkins said. But he believes only a few dozen healthy retailers, such as Best Buy, Home Depot and Walmart, could mirror what Target is doing. Craig Rowley, head of the retail practice at Korn Ferry Hay Group, estimates that retailers devote 5 to 8 percent of their annual sales to store hourly labor costs. Target is seeing signs that its turnaround efforts are starting to win back shoppers. In August, it reported that a key sales figure rose in the second quarter, reversing four straight quarters of declines, and its online sales jumped 32 percent. The company also boosted its earnings expectations for the year. Target is spending $7 billion over three years to remodel old stores, open small ones in cities and college towns and offer faster delivery for online orders. It is also adding more clothing and furniture brands. Walmart has also been benefiting from its investment in its workers. The Bentonville, Arkansas-based retailer has seen lower turnover and improved customer service scores. Its namesake U.S. division reported a 1.8 percent increase in revenue at stores open at least a year during its fiscal second quarter, marking the 12th straight period of gains. Walmart's wage investments, however, did take a big bite out of profits. Target reiterated its third-quarter and full-year profit guidance, and said it would update investors early next year about how higher wages will affect long-term profits. Its shares initially fell Monday, but regained that ground and were little changed.